Our glycerin soap is formulated with plant-based oils and aloe vera for extra moisturizing properties. This handmade soap bar is made in small batches and each bar can slightly vary in size, color and design. Our soap bar is gentle enough for use on sensitive skin. We recommend this soap bar for customers who like more of a cleansing feel. Our Milk Soap Bar Collection is recommended for customers who like a more lathering and moisturizing feel. We do not use synthetic preservatives in our soap bars. Hence, please store the soap away from water and heat to extend its longevity. Check out our Self Draining Soap Dish for a beautiful option of storing and displaying your soap bar. Pink Grapefruit: Feel uplifted with a burst of freshness and citrus. 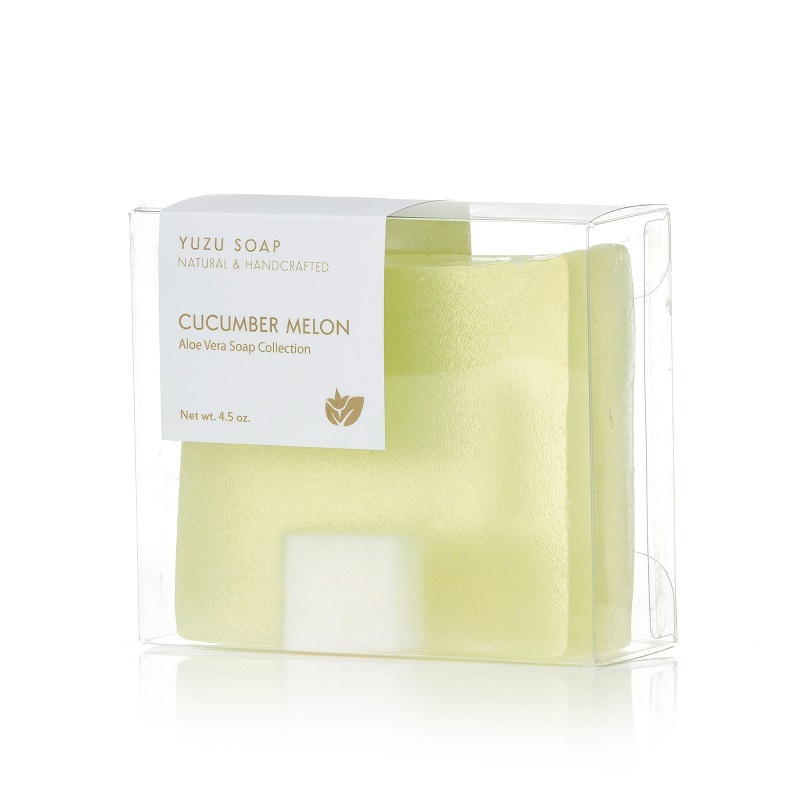 Cucumber Melon: This crisp, juicy and delicate aroma will leave you feeling clean and light. Lavender: A bold, floral aroma to make you feel fresh and relaxed. Japanese Yuzu (Best Seller! ): Aromatic with sweet accents and bold citrus freshness. 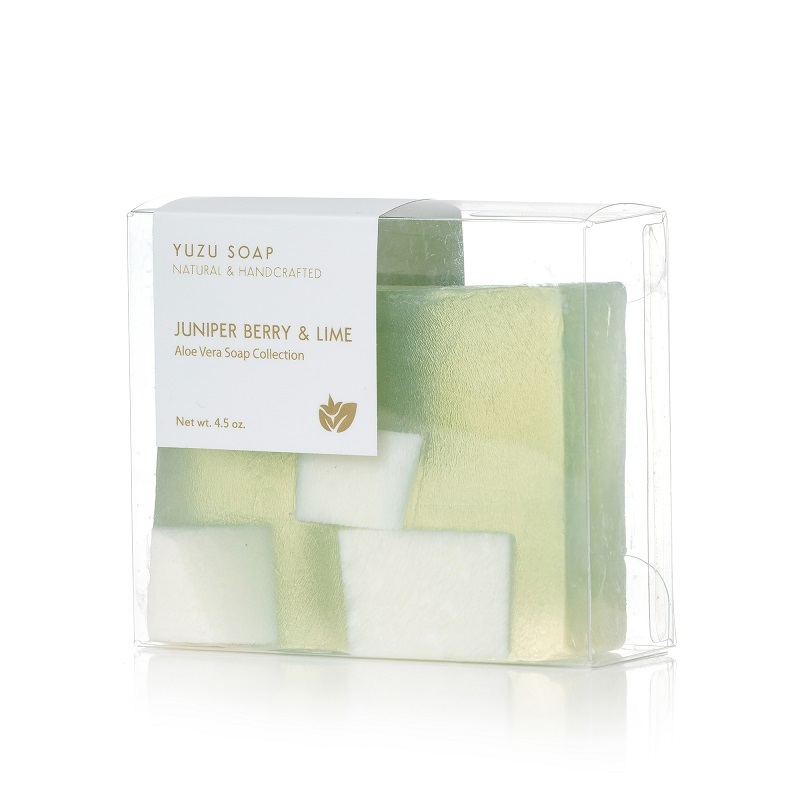 Juniper Berry & Lime: A woody, earthy scent balanced with tangy lime. 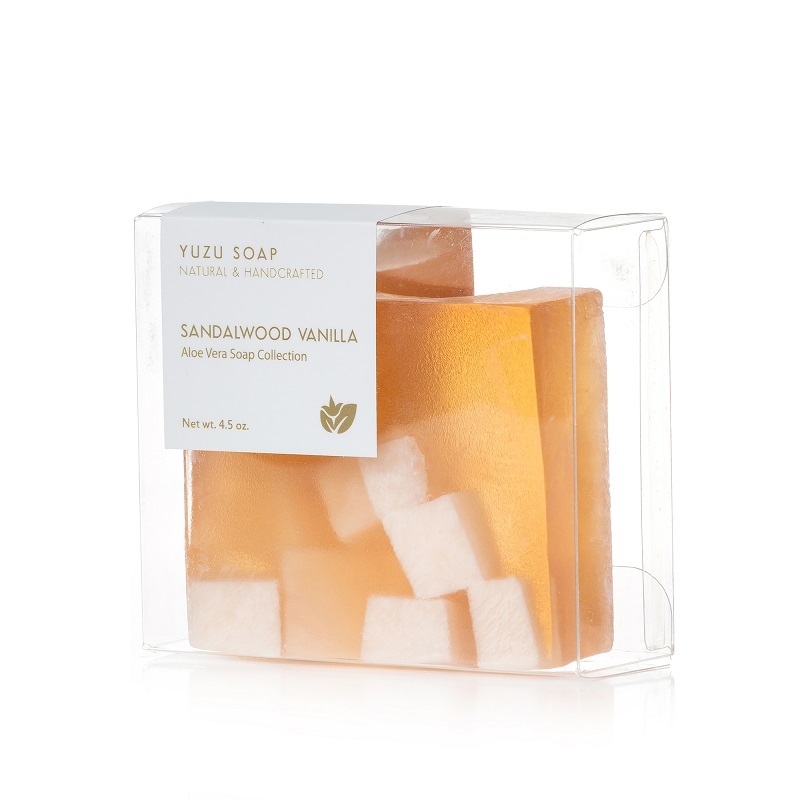 Sandalwood Vanilla: An invigorating blend of a warm, rich, and comforting scent accompanied by sweet vanilla. 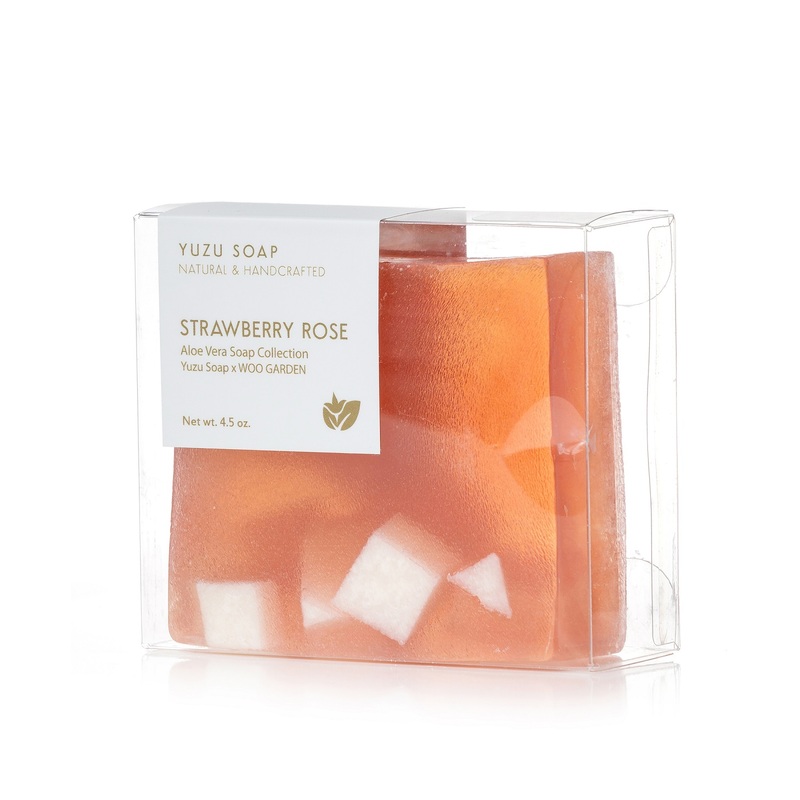 Strawberry Rose (WOO GARDEN x Yuzu Soap): A sweet, fruity scent to make you feel playful and romantic. Ingredients: saponified oils of coconut, palm and safflower, glycerin, aloe vera gel, purified water, sorbitol (moisturizer), propylene glycol (from vegetable glycerin), sorbitan oleate (emulsifier), oat protein, titanium dioxide, mica and essential or fragrance oils. Fragrance Collection scents include Strawberry Rose, Japanese Yuzu, Cucumber Melon and Sandalwood Vanilla. Natural Collection scents include Pink Grapefruit, Juniper Berry & Lime and Lavender. Love these glycerin soaps! They smell wonderful and feel luxurious . 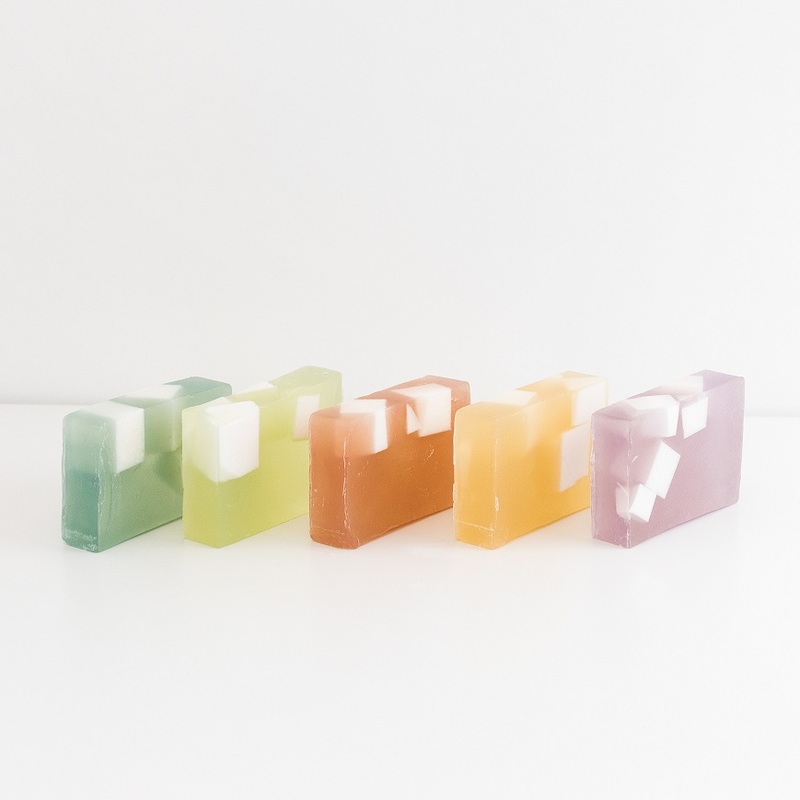 The exquisite packaging makes these soap bars a perfect gift! My mom and I love the Japanese Yuzu & Cucumber melon. 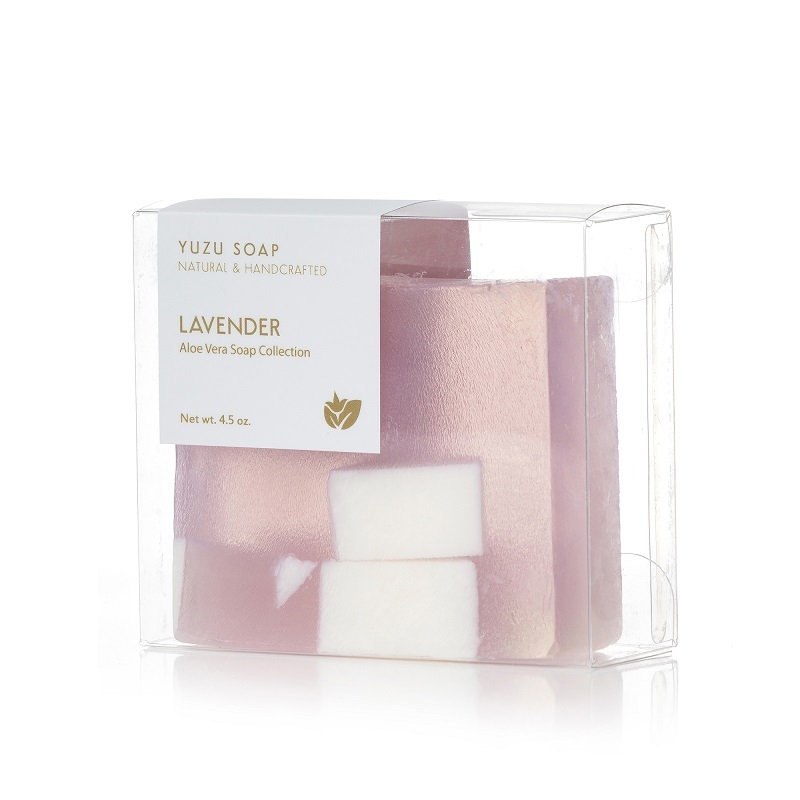 Lavender Sage Bath Bomb Tablet: Indulge in a relaxing and moisturizing bath experience. 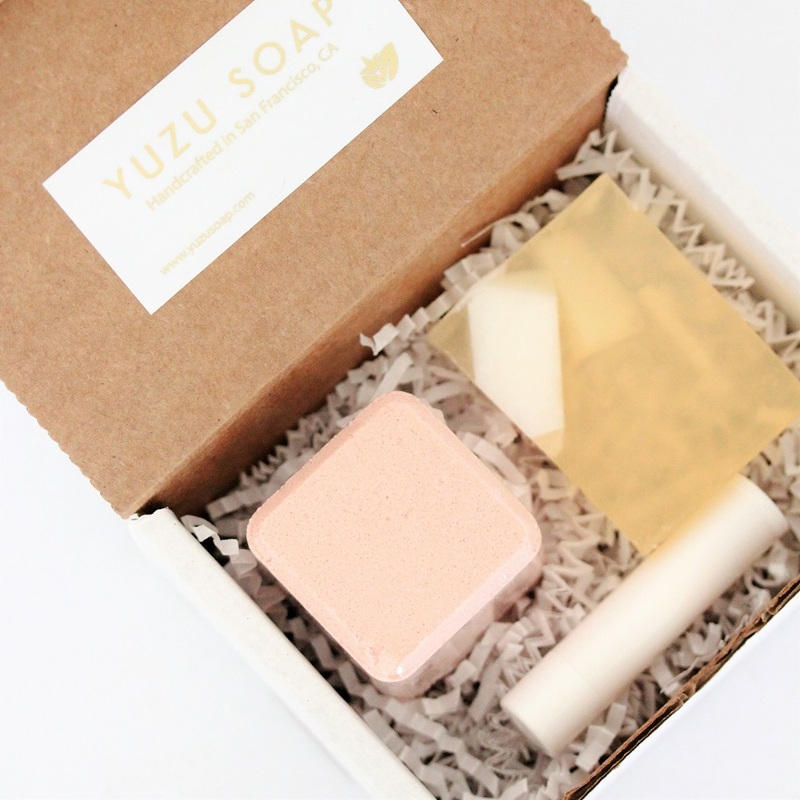 Japanese Yuzu Soap Bar: Cleanse and moisturize with this handcrafted soap bar. 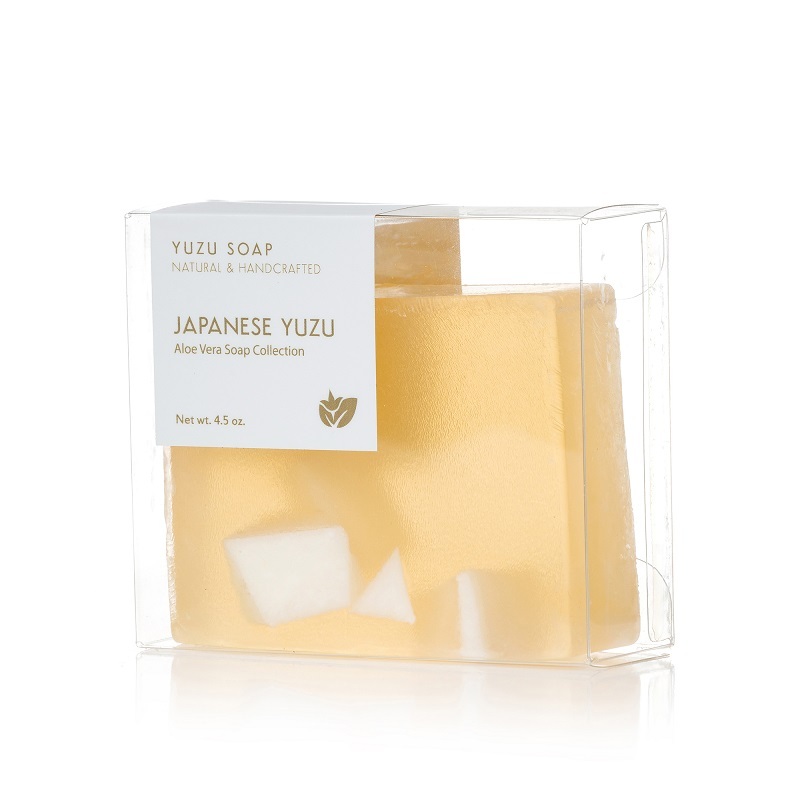 Our signature Japanese Yuzu scent is aromatic with sweet accents and bold citrus freshness. Orange Yuzu Skin/Lip Balm: Travel friendly and versatile, this balm stick is deeply moisturizing and rich in plant-based oils and butters. This gift box measures 7.5” x 5.5” x 2” and is secured with a gold elastic band. All orders ship out within four business days; please specify in notes section at checkout if an earlier shipment date is needed and we will try our best to accommodate. Limited quantities available while supplies last. Please check individual product listings for ingredients. Note that the trial kit box is also used as the shipment box. If purchasing as a gift and you need a separate shipment box for the kit, please note at checkout. This silicone soap dish helps extend the longevity of your soap bar. This soap dish features a slanted base that enables water to automatically drain out. Because our handmade soap bars are free of synthetic preservatives and hardening agents, they are best stored in a dry place away from direct sunlight and water. 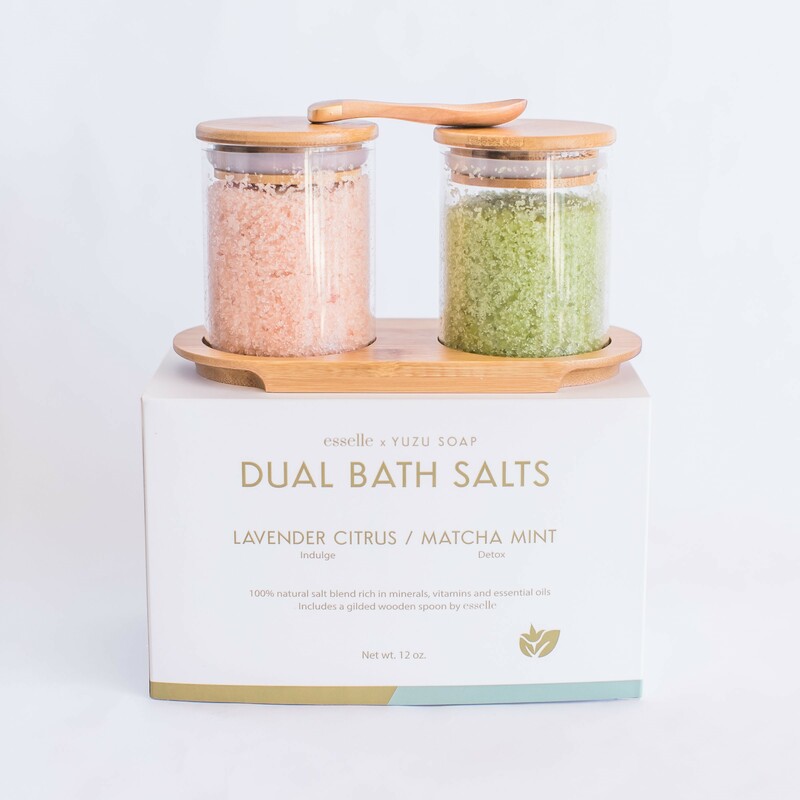 Our bath salt set is all natural and includes a blend of Epsom salts and sea salts. This set allows for 6-12 baths depending on usage amount. Our bath salts are concentrated with essential oils – a little goes a long way! Customize your bath experience with your own blend of scents and usage amounts. Our concentrated bath salt blend is rich in minerals, vitamins and essential oils. Bath salts are known to relieve stress, eliminate toxins and hydrate the skin. Indulge using our Lavender Citrus salts featuring a tangy, citrus blend with a hint of floral. Detoxify with our refreshing Matcha Mint blend of eucalyptus and peppermint. The set includes a gilded wooden spoon designed by esselle, two glass jars, a bamboo tray and 12 oz. of bath salts. 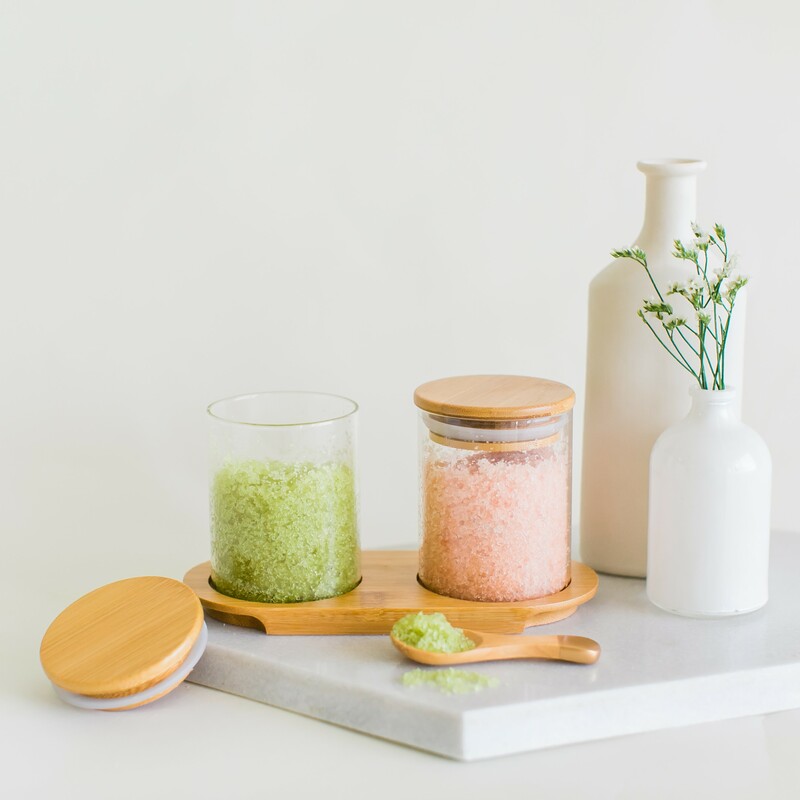 Our Dual Bath Salt Set is an exclusive collaboration item with esselle, a modern tabletop decor brand based in the San Francisco Bay Area. Tip: The jars can be reused as storage or spice jars, and the spoon can be reused as a coffee spoon. Directions: Fill your bath tub with warm water and add bath salts as desired. Recommended usage is 1-2 oz per bath. Ingredients: Epsom salts, sea salts, essential oils, aloe vera leaf powder, matcha powder, coconut oil, citric acid, and natural clay. Net weight: 12 oz. Packaged Dimensions: 7.25’’ (L) x 4.50’’ (H) x 3.75’’ (D). Refills now available as part of our Bath Salt Tube collection.